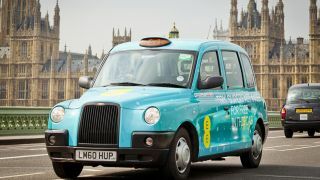 EE is offering you free 4G when you shell out for a black cab in London or Birmingham. However, it's only really available in a pretty specific scenario: you'll need a 4G enabled phone. You'll need to flag down one of forty 4G cabs in the capital. And you'll need to do it within three months. If you're in Birmingham, have fun locating one of the 10 4G black cabs available. Anyway, if that sounds like you, fill your boots - all it'll take is a text while you're in the cab. Everyone else: soz.